40A Solid State Relay (SSR), ideal to switch heating elements with an Arduino. 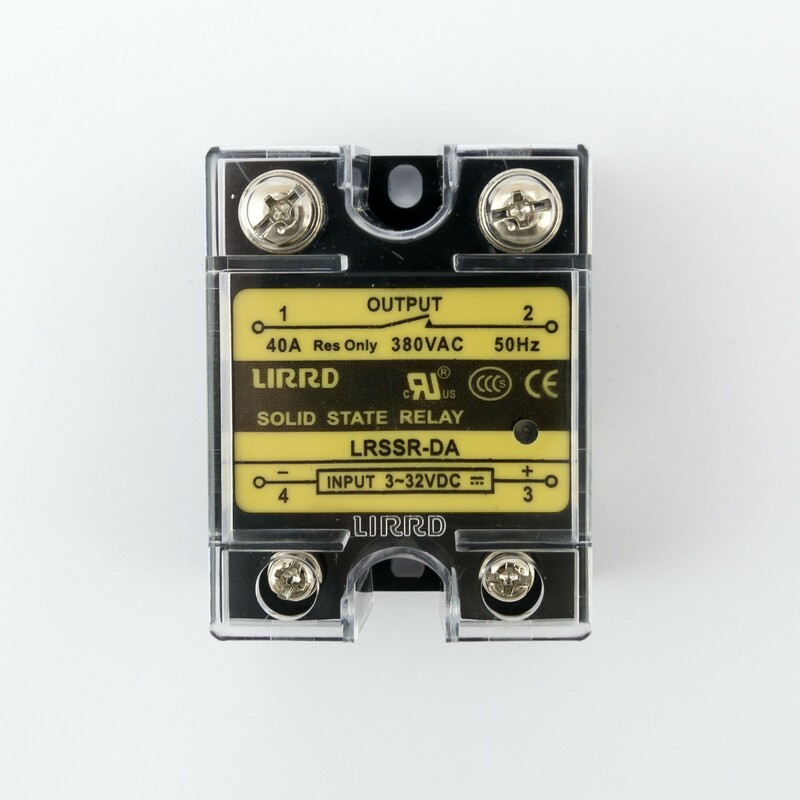 With a solid state relay, you can switch a large AC voltage with a small DC voltage from the BrewPi Spark. This SSR is more suitable if you want to switch high currents, for heating elements of 2500W, 3500W or even 5500W. When using the SSRs for high currents, use them with a heat sink. We sell a fitting low profile heatsink. 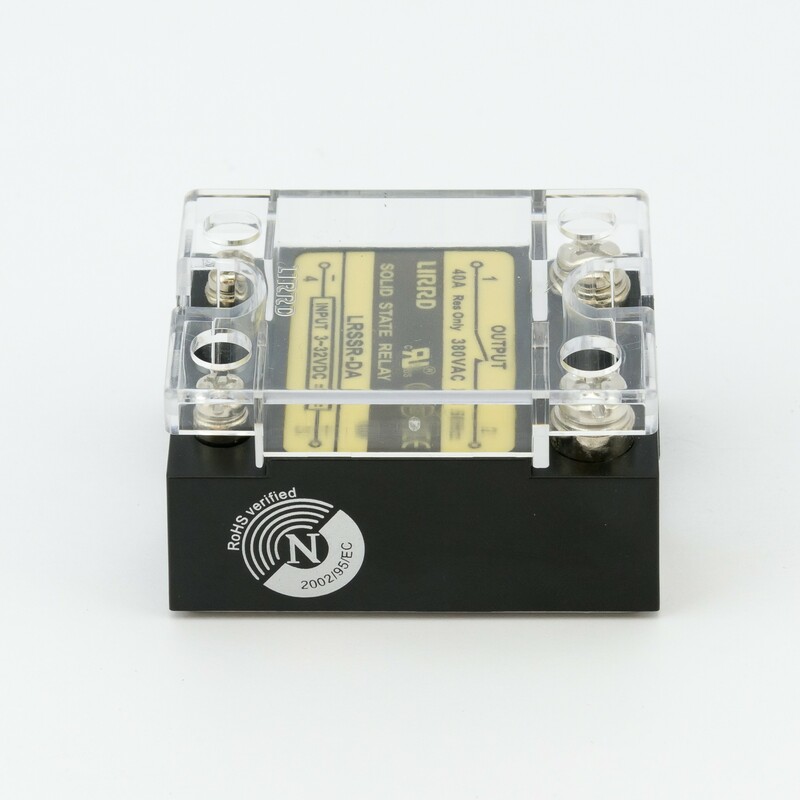 These SSRs are high quality and come with a clear protective cover. They also have an indicator LED that shows when the SSR is on.